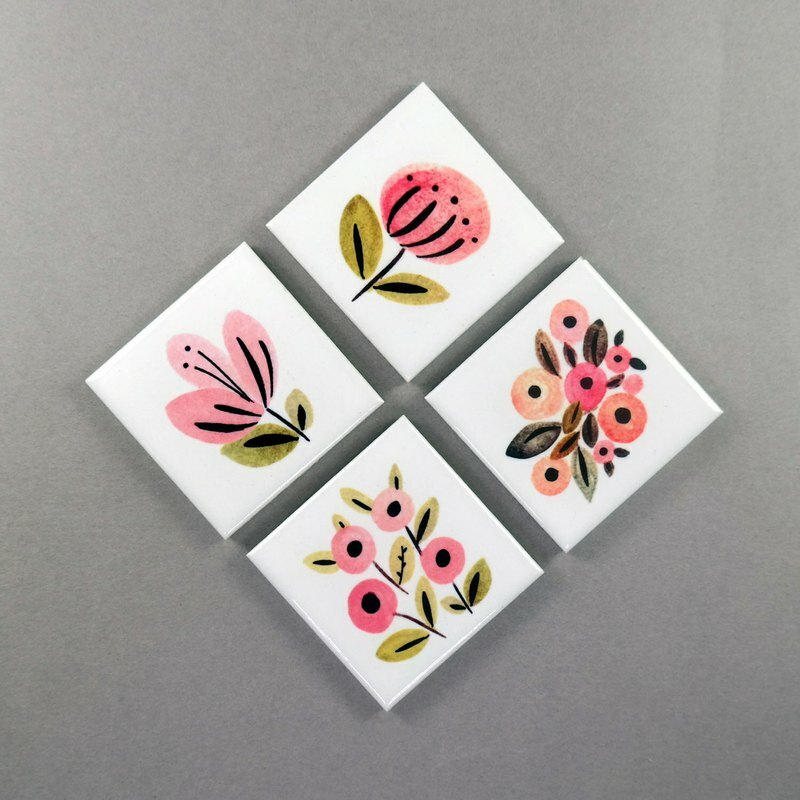 Flower Magnet Holder Cute Fridge Magnet (Set of 4) Softly water-colored flowers on the small glossy tiles. Mix and match on anywhere you can use magnet, on fridge or magnet board Size. 1.85" x 1.85" (47mm x 47mm) Materials. Ceramic Tile + Magnet Weight. 35grams (Each peice) * The front edges are coated and it it not sharp for adult, but keep them away from young children to avoid playing them.